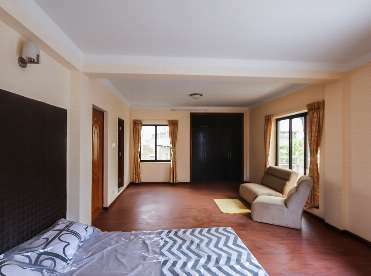 This newly built earthquake resistant house is located in a peaceful residential area at Paradise Housing, Sanepa opposite of Paradise School. It is 200 meter inside from Balkhu, Ring road and 50 meter from Sanepa road so keeping in touch with city life and has access to 20 ft road. 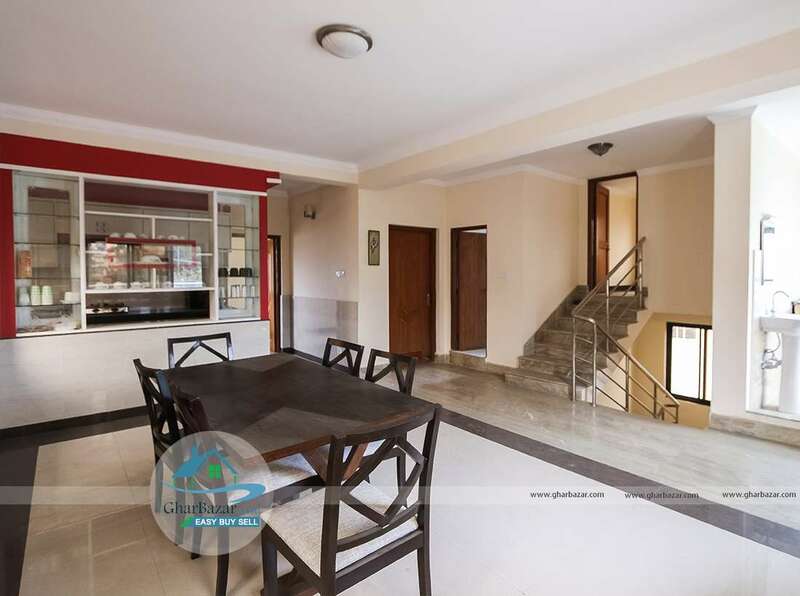 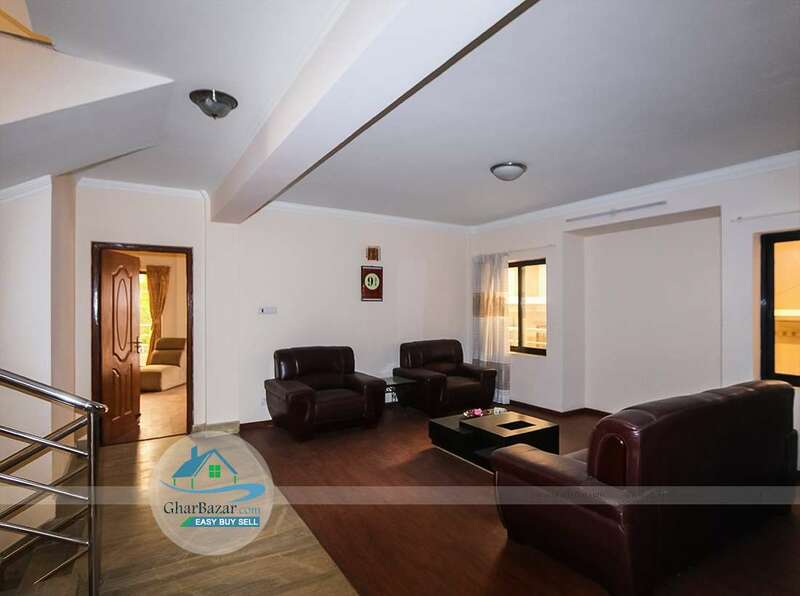 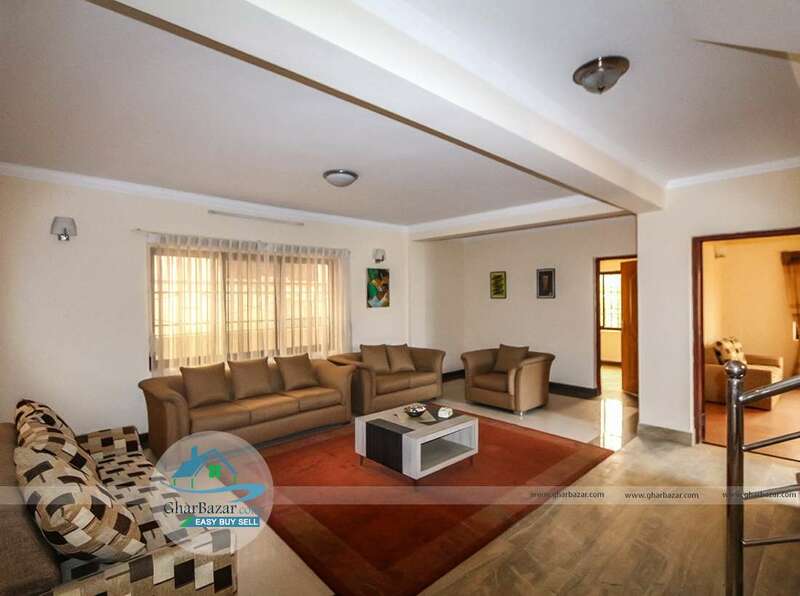 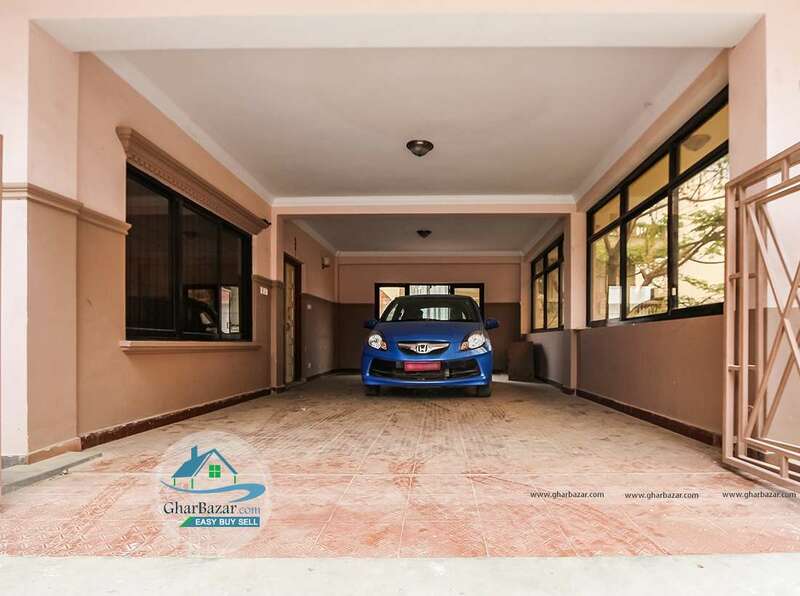 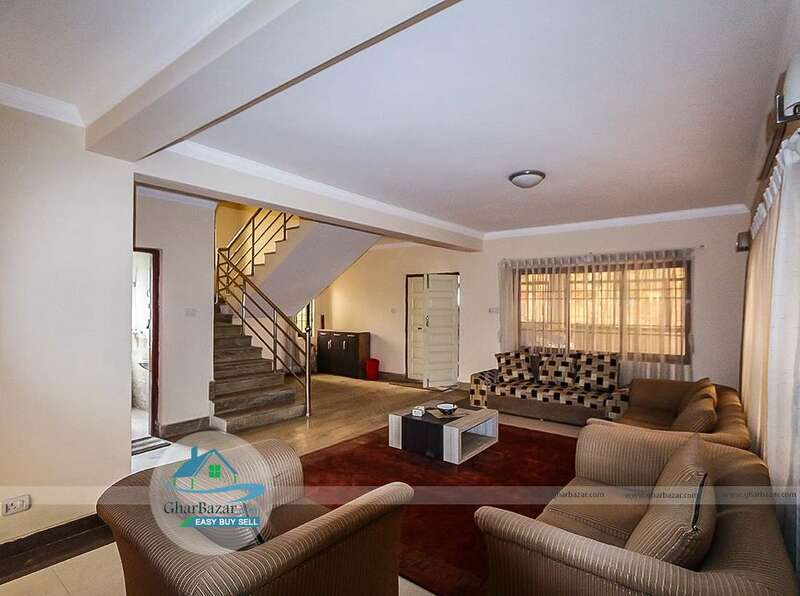 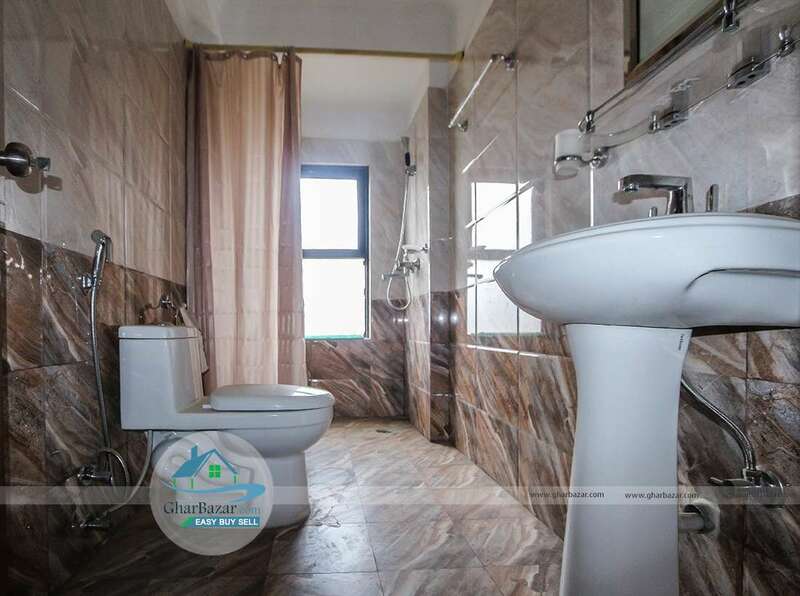 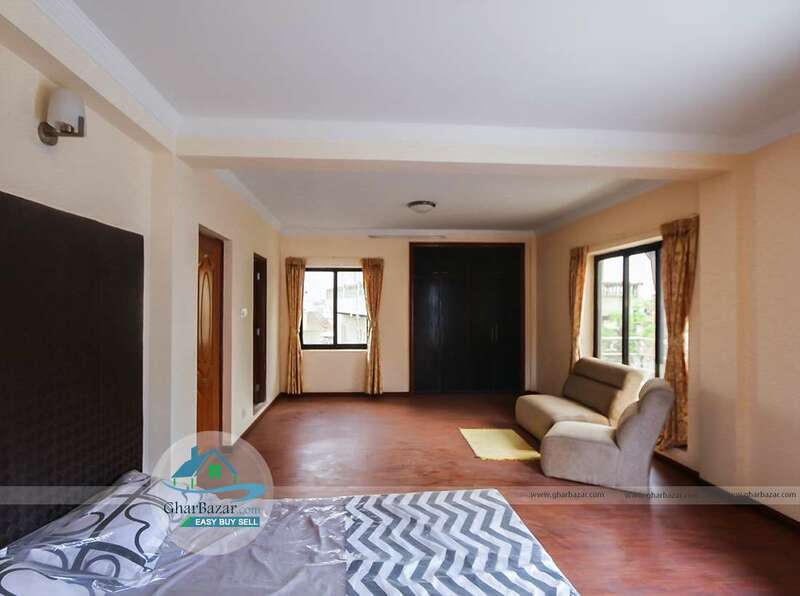 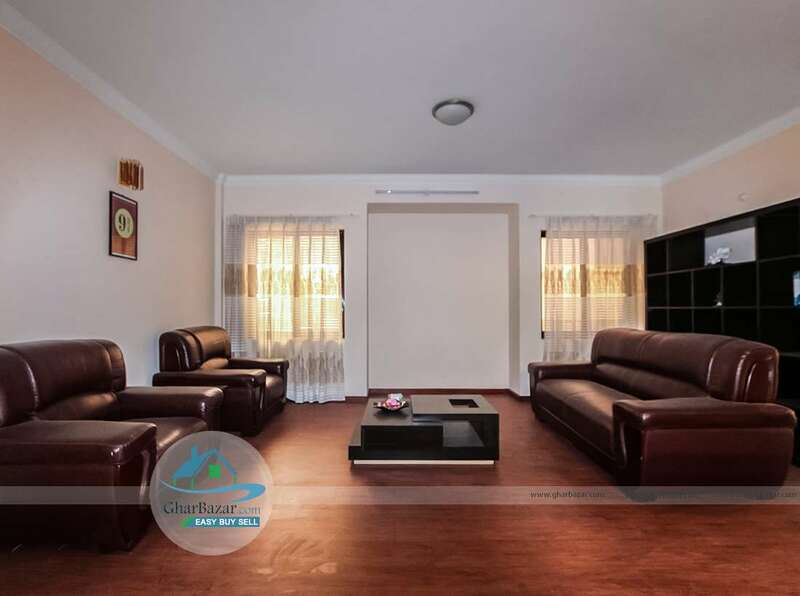 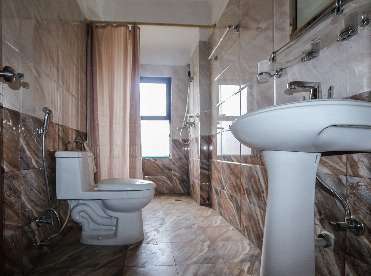 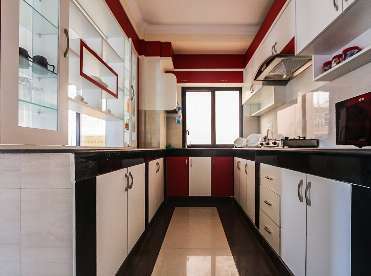 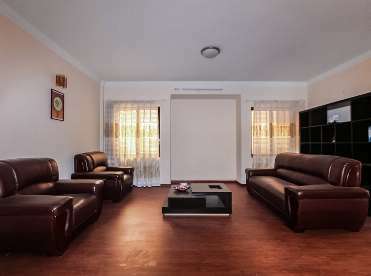 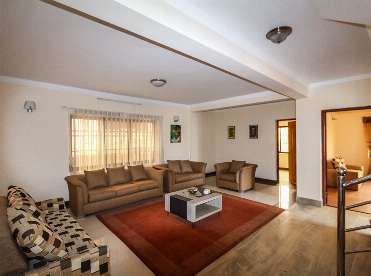 It is a 3 storied house facing south - east which is built in area 8 aana land and has fully furnished 1 family room, 1 living room, 5 bedrooms, 1 study room, 1 modular kitchen, 1 dining room, 4 bathrooms and 2 store rooms. 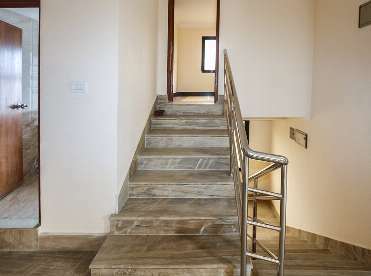 It has fully marbles stairs, granite in kitchen, nice garden, parking space for 2 cars and bikes. 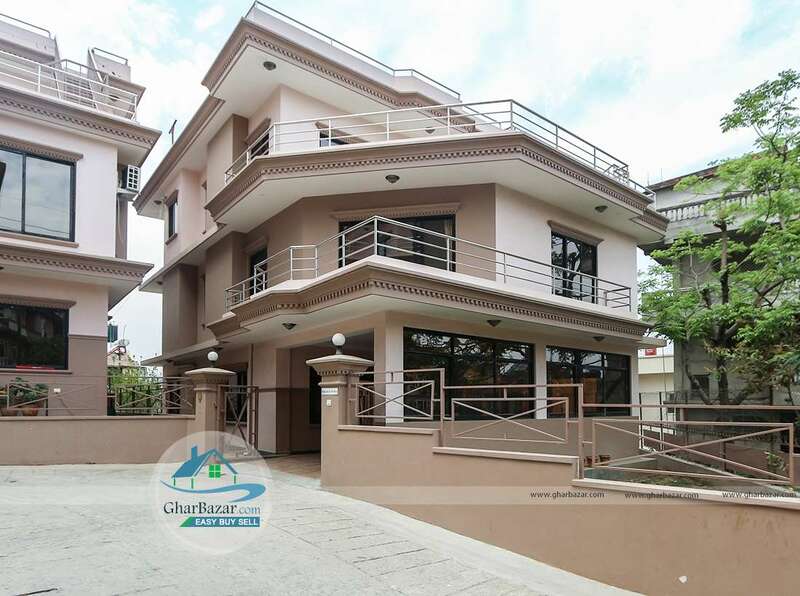 The property rent price is 1 lakh 75 thousand per month.